This image is of the area surrounding M106 the large Galaxy in the center left part of the image. M106 is in the constellation Canes Venatici and lies some 21 to 25 million light years distant. Near the core of the galaxy bright blue star clusters can be seen spiraling around the galaxy core. These are areas of active star formation with many young bright stars. Close by and to the right of M106 is the galaxy NGC 4248. Further right near the bright orange an blue stars is the spiral galaxy NGC 4217. 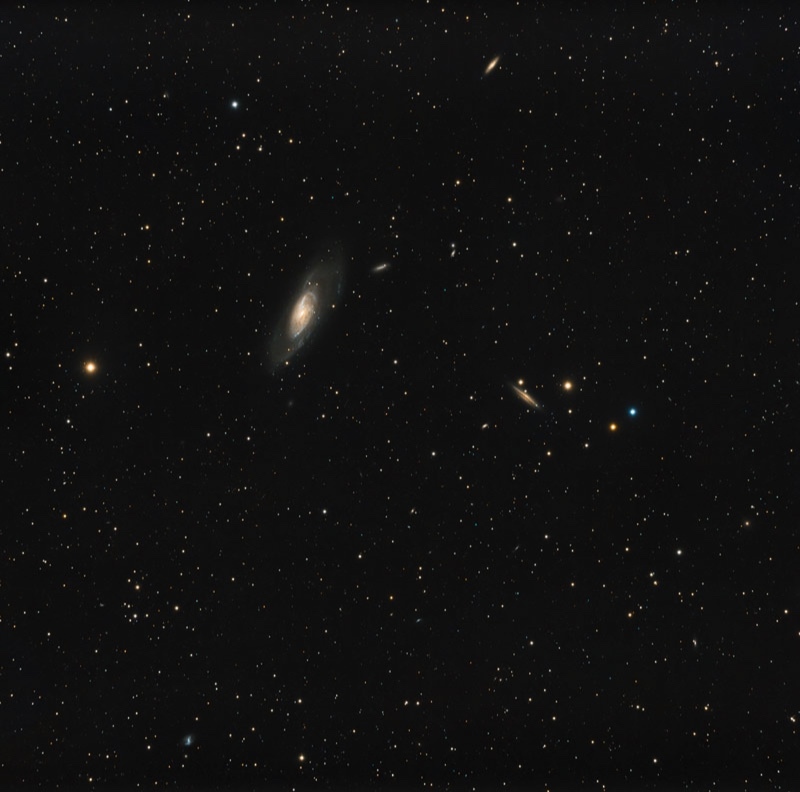 A close look at the high resolution image shows many smaller galaxies throughout the field of view. Several clusters of very faint galaxies are evident on close inspection. Lastly near the top of the image is the galaxy NGC 4220 shining at magnitude 11.3.